In Indonesia, whether in small villages or lavish royal estates, alone or accompanying dance, drama, and puppet theater, gamelan music is considered essential for official ceremonies, life-cycle rituals, and celebrations. 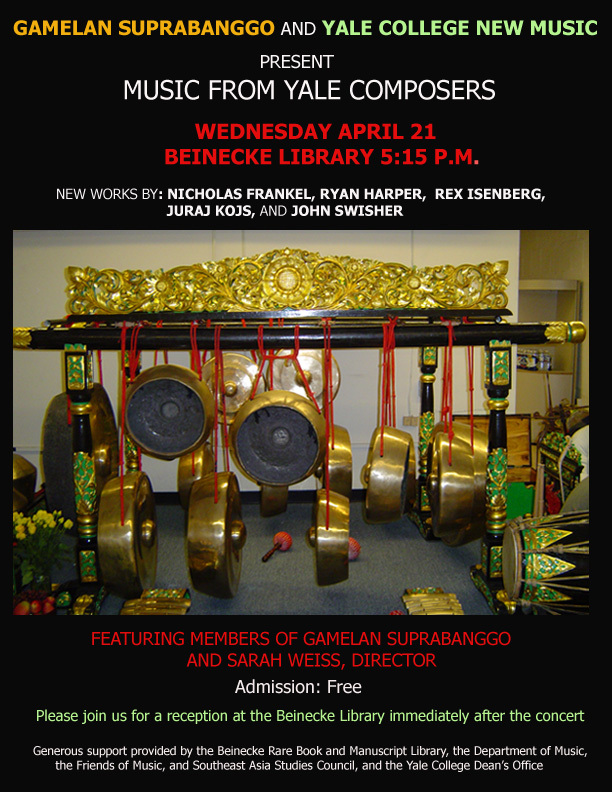 (See Gamelan). 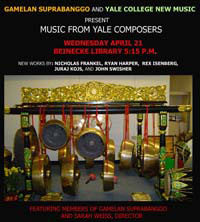 The instruments comprising the Yale Central Javanese Gamelan Ensemble came to Yale in 2006 (See History of Gamelan Suprabanggo). with links to mp3 uploads). Gamelan- A Javanese/Indonesian word for ensemble. The word “gamel” means to hammer something. A Central Javanese gamelan consists primarily of bronze instruments - horizontal and vertical gongs and metallophones - but also includes several stringed instruments, flutes, drums, and voices in performance. Gamelan orchestras are the traditional accompaniment to wayang shows, dances, feasts and ceremonies of Indonesia. 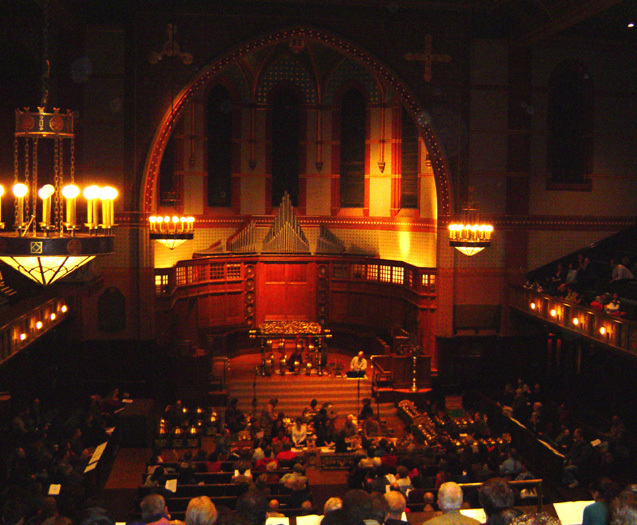 Gamelan music consists of smooth, “impressionistic” tone clusters and intensely complex intertwining rhythms and textures. Wayang - Javanese wayang kulit or wayang purwa - a dramatic form involving puppetry - derived from a Javanese Hindu-Buddhist tradition, where hand-crafted leather puppets are used to depict epic stories of the gods in shadow play. Dhalang The wayang puppeteer - in performance, employs the combined arts of puppet movement, dialogue, songs and commentary. Klenengan - Javanese gamelan music, played in soft and contemplative style, used for listening entertainment rather than for the accompaniment of a dramatic theatrical event.